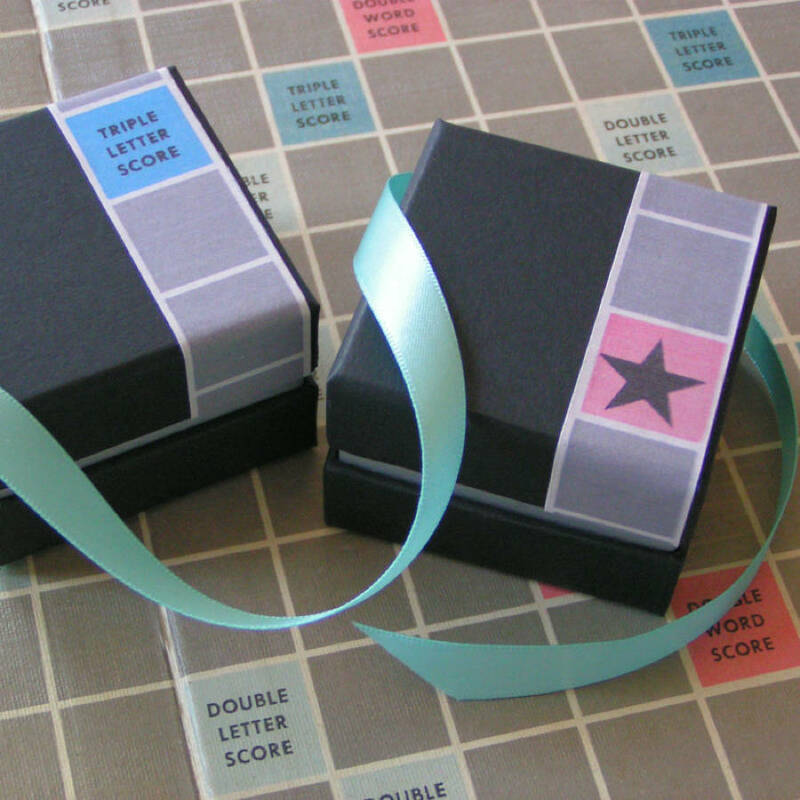 A fantastic new home gift. 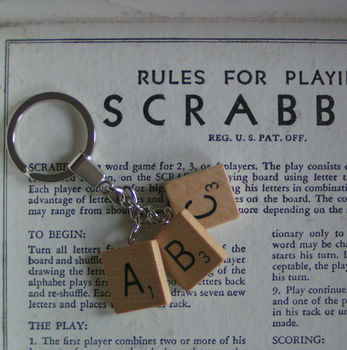 Choose any three letters you like and these authentic, vintage wooden Scrabble letter tiles from the 1950s will be made into a key ring just for you. 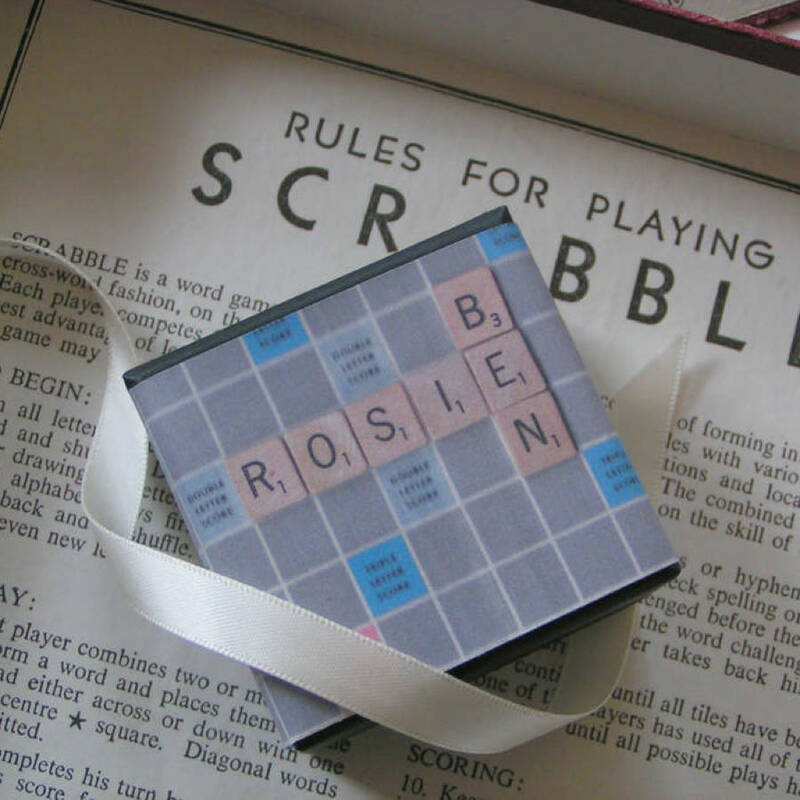 Beautifully packaged in a stylish black Scrabble box, they make an ideal present for someone special, or a gift for yourself. 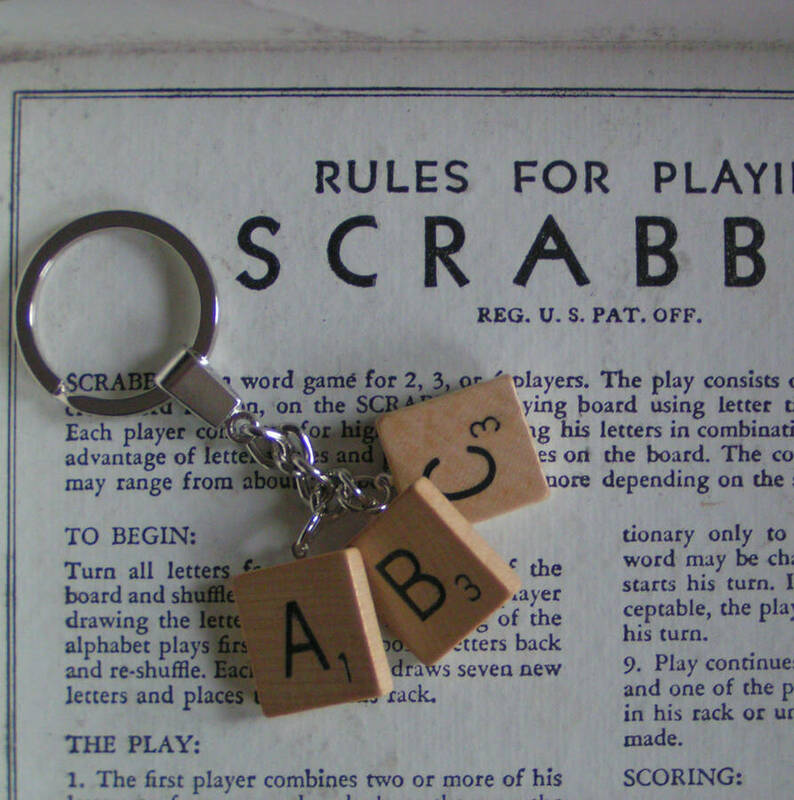 Original Scrabble tiles, manufactured by J. W Spear & Sons Ltd, Enfield, England. 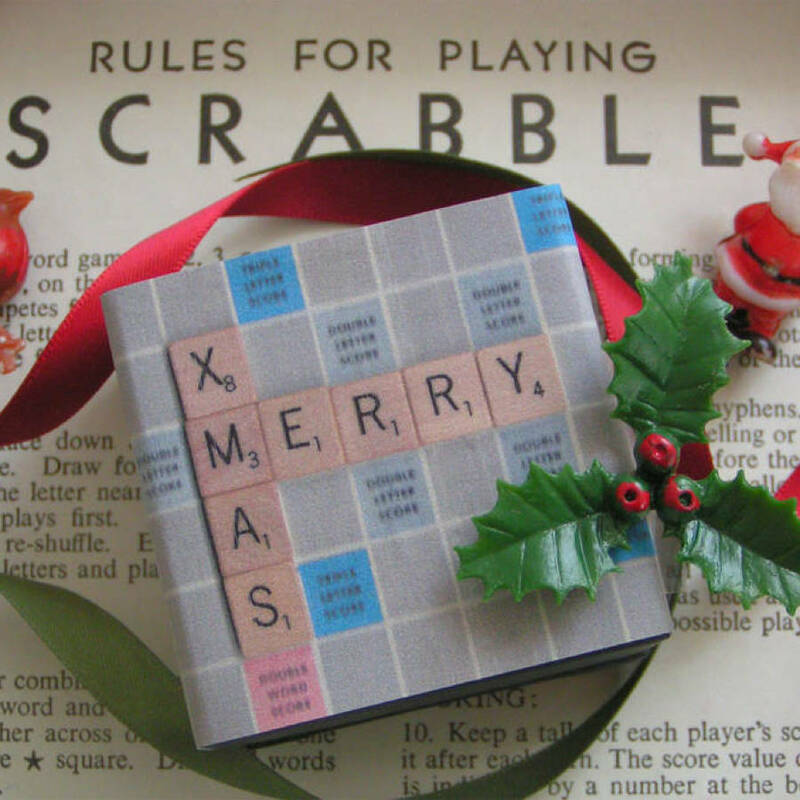 Each tile is approx 2cm square.